I am guessing it wouldn’t shock you if I said that the divorce rate is increasing. Ladies, if you are married, you have a calling. 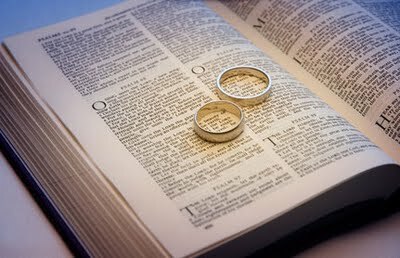 Our worldly thinking has reduced a true covenant marriage down to something it was not meant to be. God has a purpose for the unity of marriage. It is a picture of Christ and His church. ” Wives, submit to your own husbands, as the Lord. For the husband is head of the wife, as also Christ is head of the church; and He is Savior of the body. Therefore, just as the church is subject to Christ, so let the wives be to their own husbands in everything. Husbands, love your wives, just as Christ also loved the church and gave Himself for her…..(read Eph. 5:22-33). I am not saying I have it all figured out, but I do believe God’s word to be the ultimate truth. I also believe that apart from Christ we can do nothing, so if you have not trusted Christ as your Lord and Savior please stop by the “Salvation” tab at the top of the blog… Here is pt. 2 of Dare to be Different….. I am so blessed to have such a wonderful husband. I have not always appreciated all the goodness that is in my husband. Marriage is such a wonderful gift from the Lord. Just like our children, it is to be nurtured and cherished. “For this reason a man shall leave his father and his mother and be joined to his wife and they shall become one (Gen. 2:24). I don’t know about you, but “becoming one” has been my hardest part. We both walked into this relationship with a lot of “seperate-ness” instead of “joint- ness”. Over the years I’ve had to let the Lord transform me inside out. In the beginning I didn’t know how to love my husband the way he needed to be loved. I found it hard to give him the one thing he desired the most: Respect! Yes, respect is a big one for men. “Nevertheless let each one of you in particular so love his own wife as himself, and let the wife see that she respects her husband” (Eph. 5:33). With alot of falling down and getting up, my marriage has gotten (is getting) stronger over the years due to the working of the Holy Spirit in our lives. As I’ve grown in areas in my life, my husband has also grown in areas of his life. We are still a work in progress. No perfection here! Remember our husbands weren’t given to us to fulfill every desire we have – God is the only one who can fill that tall order. So, let your husband off the hook. Let your husband be the man he was called to be, as you love and support him. Believe me! I’ve tried to change my husband through out the years. It doesn’t work! God’s way works! “Wives, likewise be submissive to your own husbands, that even if some do not obey the word, they, without a word, may be won by the conduct of their wives, when they observe your chaste conduct accomplished by fear.”1Peter 3:1-4. There is great power in prayer. Pray for your husbands. If he is not the man that you want him to be, you become the wife that he needs you to be. Let God first begin the work in you. You can read this to get a little bit of my story. Letting Go! I must add, if you are in a abusive situation, please seek help as soon as possible.